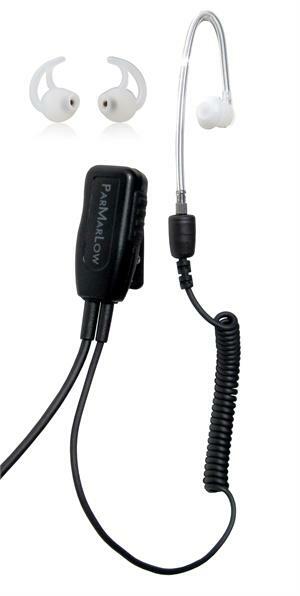 The ParMarLow RS-1400 Single Wire Shroud is the choice when replacing the bulky speaker microphone in situations where the speaker mike is too loud or not loud enough and radio communications should be kept secure. The one wire design, from radio to Microphone/PTT with rugged clothing clip, and earpiece facilitate ease in attaching and removing the unit. The RS-1400ILT comes complete with the ParMarLow Short Sound Tube and Mushroom style tips. 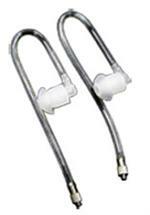 Package of 2 Flexible ET-WNG silicon earpiece. For use on clear coil sound tube earpieces. Available in Left or Right, Small, Medium or Large. 50 Individually Wrapped Silicon Ear Molds in a convenient dispenser box. One Size (Small, Medium or Large), One Side (Left or Right). Package of 2. Replacement sound tubes for RS-1400 or ES-ILT Surveillance Earpieces and Kits. 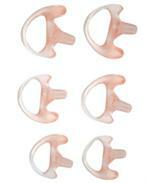 3 Ear Molds per package One Size, Left or Right For use with sound tube earpieces and surveillance kits. Open Ear Molds do not block out surrounding sounds. 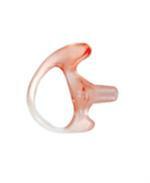 Open ear molds for sound tube earpieces and surveillance kits. Open design does not block out surrounding sound. 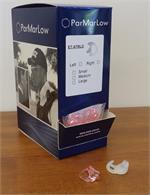 Package of 6 for ease in determining the proper size for your ear.